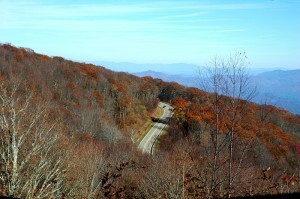 One beautiful day trip, particularly in the fall, is the drive along the Cherohala Skyway and the Tail of the Dragon. It’s even nicer if you own a motorcycle or sports car. 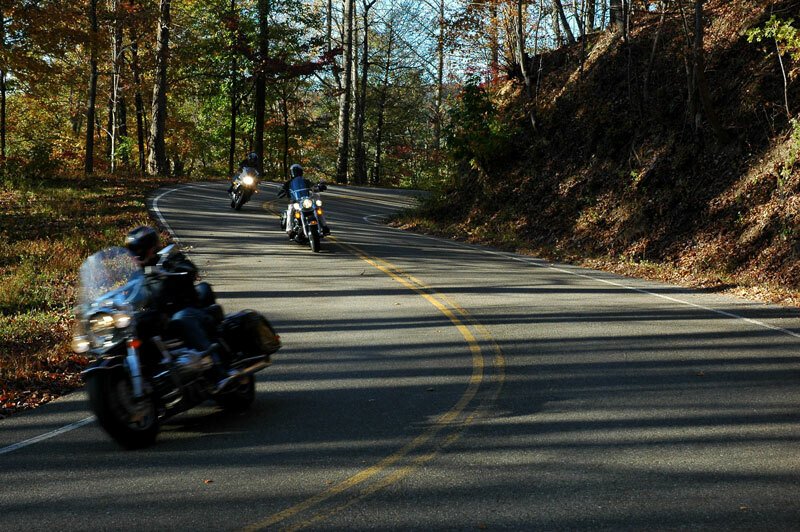 The first time I drove the Tail of the Dragon, was in 1986, in a 27’ motor home with my mom, before we settled in Townsend, TN. No one told me the drive had 318 curves in 11.1 miles, but it was doable and I didn’t kill anyone, which is always a plus. For the faint of heart, know that I sometimes refer to it as “upchuck” highway. Fast forward 25 years, and the Dragon is one of the premier motorcycle riding experiences in the world. 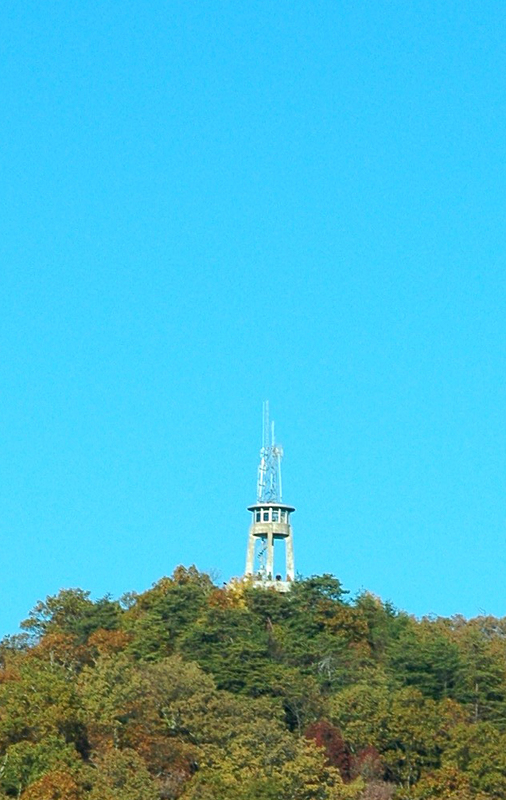 Cherohala Skyway, a little further south, runs between Robbinsville, NC and Tellico Plains, TN. Finished in 1996, its 36 miles climbs to around 5400 ft and transverses the Cherokee and Nantahala National Forests. It is similar to the road going from Gatlinburg to Cherokee but I believe Cherohala has broader vistas and the turns aren’t quite as tight. If you’re driving it from Gracehill, after breakfast, I suggest taking Hwy 321 into Maryville, south on Hwy 411/129 to either Rt. 68 or Rt. 360 and picking up Cherohala (Hwy 143). By the time you start climbing, the sun will be overhead and then behind you, instead of clipping you in the eyes if coming from the other direction. 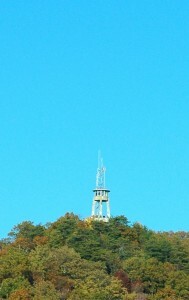 Once off Cherohala, hang a left on Hwy 129 that leads into the Dragon. 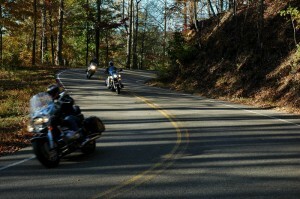 Officially the curves start at Deals Gap in NC, and ends at Tab Cat Creek Bridge in TN. Once off the Dragon, you can continue back into Maryville, or my suggestion is turning right on the Foothills Parkway for the 17 mile drive that will meet back up with Hwy 321 in Walland, just outside of Townsend and Gracehill. If you decide to finish the trip coming back on the Foothills Parkway, about seven miles into the 17-mile stretch there will be a parking area on the right. Park there, cross the road and walk up another 100 yards or so and you’ll see a paved trail going up to Look Rock Observation Tower. It’s not in any of the hiking books of the Smokies that I can find, but my best guess is about a 1/2 mile plus to the top, change in elevation around 300 feet. The sunset is beautiful from that location, the view is 360 degrees, and you’re looking over the whole Maryville/Alcoa valley to the west and Millers Cove to the east. If you stay long enough to watch the lights come on in the valleys, be sure to take a flashlight with you for the trip down. For the faint of heart, our elevation at Gracehill is exactly the elevation at the tower, 2500 feet, so you can skip the hike and get back here in time for sunset. If you are looking for a place for dinner in Townsend, the Back Porch is a nice mom and pop place. Two good things on the menu are chicken strips (after 4pm) and their cheeseburgers. A little more upscale would be the restaurant at Laurel Valley Country Club, casual dress, full bar and nice view, or Olson’s River Grill. Both have good steaks.